One in every five adults. There are approximately 52.5 million adults in the United States suffering from arthritis today. According to the Centers for Disease Control, Arthritis is the leading cause of disability in this country. Over half of all Americans over the age of 65 are living with some form of arthritis in at least one joint. The things that many people take for granted, like driving a car, tying a shoe or washing the dishes becomes a challenge for these seniors and may severely impact their daily lives. As May is National Arthritis Awareness Month, this is an opportune time to share some information to better help understand this common affliction. Arthritis is a term used to cover all rheumatic diseases that cause swelling of the tissue around a joint. The American College of Rheumatology has described over 100 rheumatic diseases, or different types of arthritis, all of which have one thing in common – the painful inflammation that occurs on the joints. Symptoms vary depending on the type of arthritis present in the patient. The longer the elder has this condition, the more damage that can occur to the joint tissue. There is no known cure for arthritis. The best method of fighting it is seeing a doctor as soon as symptoms present themselves. Doctors can provide educational resources and strategies to help individuals manage their arthritis pain. They may also help intervene with anti-inflammatory medications when appropriate. Fortunately, there are ways to reduce the amount of pain the elder has. With these pain management tips and help from their caregivers, your loved one will be less likely to feel the extraordinary discomfort and pain that is often felt with arthritis. 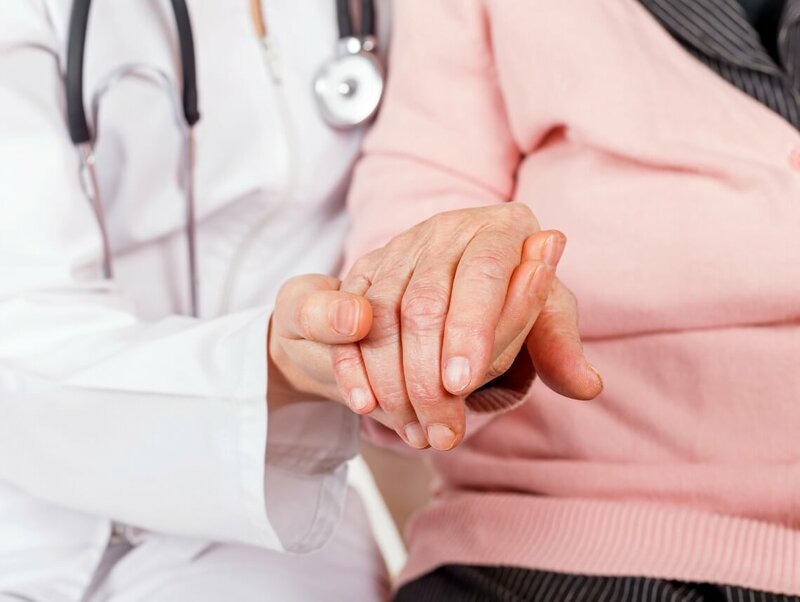 Early diagnosis: The earlier older adults receive an arthritis diagnosis, the sooner they can get the treatment they need to manage their symptoms. If you or their caregiver is concerned that the elder has developed arthritis, encourage them to see their doctor as soon as possible to help with their pain management. Eating a healthy diet: Consuming fish oil and omega-3 fatty acids have been shown to reduce inflammation in the body. For those with arthritis, consuming fish oil and eating foods rich in omega-3 may help relieve pain and discomfort. Good sources of omega-3 include salmon, flaxseed, edamame, and walnuts. Before taking fish oil or any other supplement, be sure to consult your or your loved one’s doctor to avoid interaction with other medications or medical conditions. Maintaining a healthy weight: Losing weight is beneficial to our overall health and well-being. For those suffering from arthritis, weight loss can actually help reduce inflammation in the body, reduce pain and increase mobility. Extra weight puts added pressure on the joints, especially the hips, knees, and ankles. According to a study, losing just one pound of weight can result in nearly 4 pounds of pressure being removed from the joints. Exercising regularly: Not only can exercise help seniors maintain a healthy weight, but it can also help lower the amount of pain they feel. When dealing with the aches and pains of arthritis, the last thing on one’s mind is getting out and staying active. However, studies show that staying active and engaging in low-impact exercise (ex: range of motion, strengthening, aerobic exercises, etc.) can help improve flexibility and strength and reduce pain and stiffness of the joints. Before engaging in any type of exercise, be sure to consult a physician or physical therapist to determine the appropriate level and type of activity. Visiting a physical therapist: A physical therapist can help by creating a specialized exercise program that will help your loved one effectively manage their condition. They may also be able to provide certain techniques and tools that will help the senior manage their pain level. Getting plenty of sleep: Often if an elderly loved one with arthritis is in a good bit of pain, sleeping and resting is even more difficult. Ironically, getting plenty of rest and sleep can help to prevent arthritis flares. Work with your loved one’s doctor to help figure out how to get them comfortable rest and enough sleep. You may have to adjust their sleep schedule slightly to make sure they’re getting enough. Making healthy lifestyle choices together: The better the elder is at taking care of their health through diet and exercise, the fewer arthritis symptoms they will have to endure. Since making these healthy changes can be a challenge for a senior, they may be more motivated if they have someone to do it with them. Consider having more meals with your loved one, going for walks with them, or going on the same diet in order to give them a bigger incentive to make these changes to their health. Using Heat/Cold: To help ease the pain around joints, try using heat or cold. This can be done with the use of ice packs, heating pads, warm baths, Jacuzzis, warm water bottles, etc., but be sure to only apply the heat or cold for 15 minutes at a time to avoid injury of the skin. Utilizing Assistive Devices: There are a number of devices and gadgets available to make daily activities easier on those suffering from arthritis. Many of these devices are designed to help lessen the pain and stress on the joints by providing assistance with things like buttons, zippers, opening jars and turning doorknobs. Canes, walkers, and orthopedic shoes can also help ease the pain and reduce the load on your knees, hips, and ankles. With these tips, your aging parent will be less likely to endure the pain that comes with this condition. The stiffness, pain and other debilitating symptoms of arthritis make daily chores and personal care a struggle. At Sonas Home Health Care, we understand these struggles and refer loving and competent caregivers to provide families with assistance in the home. We refer knowledgeable and loving caregivers to provide a wide range of services, from transportation to and from appointments, to personal grooming and nursing care inside the home.